Happy Sunday and belated Happy Thanksgiving, everyone! A psychology professor at the University of British Columbia - Stanley Coren - wrote a book called The Intelligence of Dogs in which he says they dream, but their sleep cycles are a lot shorter than that found in humans. And this means that even if they dream, it's not as involved as the dreams of humans. Here's a look at all the major and specific signs that point to the fact that dogs dream - probably of chasing cats and other small forest creatures. Brainwaves - The first sign that dogs do really dream is that their brain continues producing neural activity. In fact, these brainwaves are very similar to what is seen in humans when they enter the dream state during sleep. This is very specific information. For example, scientists have been able to read the brainwaves of rats so clearly, they know the section of a maze the mouse is dreaming about! Movements - It's known what area of the brain inhibits the body from acting out specific body movements in dreams. The pons - as this area is known - can be turned off so that scientists have been able to see what dogs are dreaming about - usually doing common dog activities. 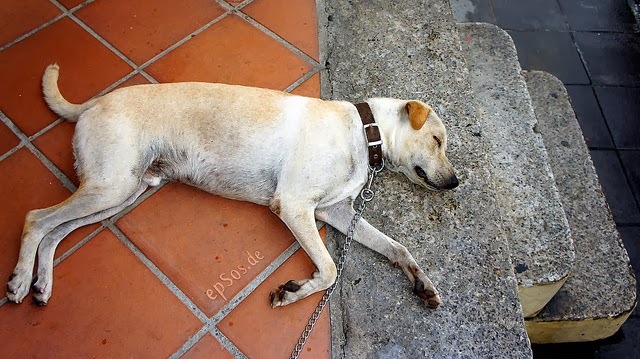 If you look closely at the dog's eyes, you'll see that they are moving because the dog thinks they're looking at real images while dreaming - like humans. Research - Studies have shown that animals below a dog in intelligence dream, which is another very good sign that there's something going on in your canine's mind when they close their eyes to rest. Further research will be done, but there's a good chance the dogs will all receive treats and won't be harmed while more information is sought about how and why dogs and other animals dream. Looking at the facts above, it's easy to see that dogs - and other animals - likely dream. What they're dreaming about is still a mystery, but seeing them move their legs when sleeping helps us put together a picture of what they're probably dreaming about. Dreams are mysterious for humans but perhaps even more so for animals like dogs. One thing that should be pointed out is that toddlers are known to dream more because it's thought that it helps strengthen neural connections. And if this is true for human babies, it's probably likely true for puppies as well. So make sure you let them dream as much as they need when they're growing up. Gustavia Heffner knows a lot about Parquet because he's been working with it a while. He loves to read infographics about home maintenance. Judging by the way Sheba's legs move when she's sleeping she's either running or swimming. Roxy barks and moves around, so we know she dreams. We dream! You shoulda just asked us! When I dream it makes my momma laugh! I don't see what is so funny but I guess she giggles at the twitching and tail wagging I do. We agree with Taffy. Peeps laughs as well. 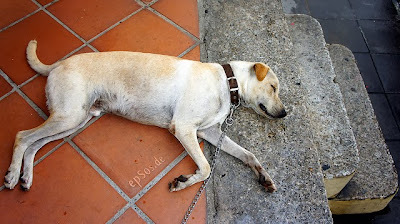 I would also agree that animals dream since there are moments that the dog or cat seem to be running while sleeping. Whisky and the cats definitely do lots of dreaming. It's really fun to watch!